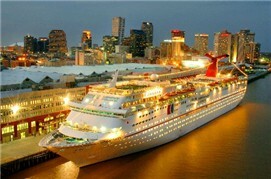 Carnival Cruise Lines and the Port of New Orleans announced a new two-year contract today retroactive to October 2006. It also features an option to renew the deal for an additional two-year period. Bottom line? That could keep the world’s largest cruise line sailing regularly from the Crescent City through 2010. Under the terms of the contract, the 2,056-passenger Carnival Fantasy, which replaced the Carnival Sensation in October of 2006, will make a minimum of 70 calls per year to the Port of New Orleans’ new $37 million Erato Street Cruise Terminal. The Carnival Fantasy sails four- and five-day cruises to the western Caribbean year-round, with port calls in Cozumel and Costa Maya, Mexico. An economic impact study found the cruise industry contributes $226 million annually to the regional economy and supports more than 2,800 jobs in Louisiana. Seeking a pampering Caribbean cruise AND a fun embarkation city experience? Then consider New Orleans. The French Quarter and other tourism areas are more than "back" after Katrina. Major attractions are open and as lively as ever. So get ready for some crawfish, gumbo, sightseeing, jazz and a Caribbean voyage. The Port of New Orleans awaits with new cruise facilities. It's also building a new, third terminal. So laissez le bon temps roulet (let the good times roll) in the Big Easy. Everyone knows Hurricane Katrina blew through New Orleans in 2005 and the levies failed. The national television photos said it all. But for travelers considering a visit, what's the status today? 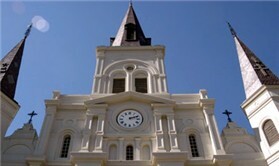 Freelance writer Vivian Holley went back to New Orleans in January, charged with assessing what the tourist will see. She found much "open." Yes, you can still get your flamed Bananas Foster during Breakfast at Brennan's. There are also plenty of places to stay pre- and post-cruise that are open, including some totally new and other renovated and rebuilt hotels. Tourism including cruises from the Port of New Orleans is creating jobs and adding tax dollars to the city's coffers, which should help in the rebuilding efforts. So return with Vivian to New Orleans for her assessment of conditions. What did she discover?